In our home our “man cave” consists of a flat screen TV, weight training station, reclining leather chair, elliptical machine and exercise bike. It sounds pretty nice, doesn’t it? Do I use this room regularly? Umn. No. You don’t really need more than two hands to count how many times I’ve been active in that room. I can’t even use time as an excuse because it’s been set up for three years. The last time I went to a gym regularly, I was in university completing an undergraduate degree. To give an idea of how long ago that was, I’ve completed two more degrees and worked in a few jobs before starting a family. I once visited a gym with my brother when I was in my early twenties. We went through the paces to be tested and signed up but I can’t recall actually going to the gym. I also have a vague recollection of attending an exercise class that involved some kind of aerobics routine. I stood at the back and was completely confused by all the movement requirements. In more recent years I took a ballet class (which included Feldenkrais movements), a small pilates mat class (which I loved) and did have an opportunity to attend a larger pilates mat class (which I didn’t like). With this kind of exercise history, it shouldn’t come as a surprise that I’m not terribly enthused about the whole process. I like opportunities such as taking rowing or fencing lessons, or learning an exercise programme in a class where the instructor fine tunes your movements if you are off the mark. Last month I had the opportunity try a month-long membership at the Fitwells gym for women in Coquitlam – organized by Salma at TheWrite Balance.ca. This gym is a five minute drive from my home, has plenty of parking around the facilities and is right across from Superstore (a regular destination for me). Since this month took place before the teacher job action finished, it also mattered to me that childcare is available on-site. Knowing my lack of enthusiasm for exercise classes and my need to get in shape and tone up, I decided that I couldn’t pass up on this opportunity. 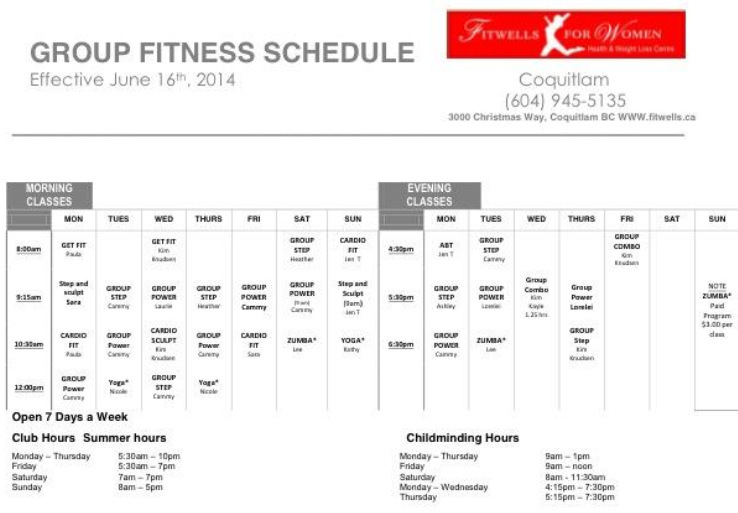 Here are some of my observations and conclusions after visiting Fitwells in Coquitlam. A proper FITNESS ASSESSMENT is an essential component to your fitness journey. It provides you with a “snapshot” of where you are in regards to health, strength/flexibility and nutrition. The assessment includes a health questionnaire, physical measurements and weight as well as testing in strength and flexibility. You can request a follow up test in 60 – 90 days. For anyone who hasn’t taken part in a fitness routine recently, I think there is merit in working with a personal trainer to develop a programme that will help you to build up your skills, confidence, strength and abilities. I also think it is a good idea to speak with a doctor if someone has concerns about the heart, fainting from lower blood pressure or any condition that might be affected by an exercise routine. At Fitwells you can use their exercise equipment, weight equipment, participate in group classes and attend X-Lab class for up to 10 people. Since I have the opportunity to use exercise and weight equipment at home, I decided to focus on trying the group classes. Since I am new to exercise programmes, I decided to not try the X-Lab sessions. I analyzed the schedule and looked at which classes took place at what time. While I didn’t end up trying the 8 AM classes, I was advised that the Get Fit classes are a great way to ease into group classes. If this doesn’t fit with members’ work schedules, staff members can help choose other classes or trainers can help design a gentle start-up programme. My upper body muscles aren’t strong, my stamina is eh…. I also get winded easily. This has been a life long problem since childhood – no doubt caused by some unknown physical constraint. I have high muscle tone and have never been terribly bendy. So when I say that I tried classes, I’m not trying to suggest that my efforts where impressive. I tried the Zumba, Cardio, Group Power and Step classes. The fact that I tried such a buffet of options is a huge accomplishment for me considering I never step foot in a gym. 60 minutes in one class is intense. Most times I was aghast at how I was feeling 15 minutes into the class. But I soldiered on and made it to the 30 minute mark – slowly sliding into the 60 minute finish line. It was very interesting to try Zumba, for example, because I had heard so much about this new exercise programme. I liked the idea of doing exercise to Latin music and I think that taking this class regularly could really help you with your dancing abilities. The Aerobics class had a surprising amount of variety in the moves that are used. I had no concept of what you would do in a Step Class. I heard later on that this is one of the most intense classes. I certainly did feel that intensity. I suspect that most women would have strong legs from dashing about in life so this is a strength on which we can fall back even if we are feeling pretty exhausted. I liked the challenge of this class and was impressed by the level of fitness in the women who went through the paces. 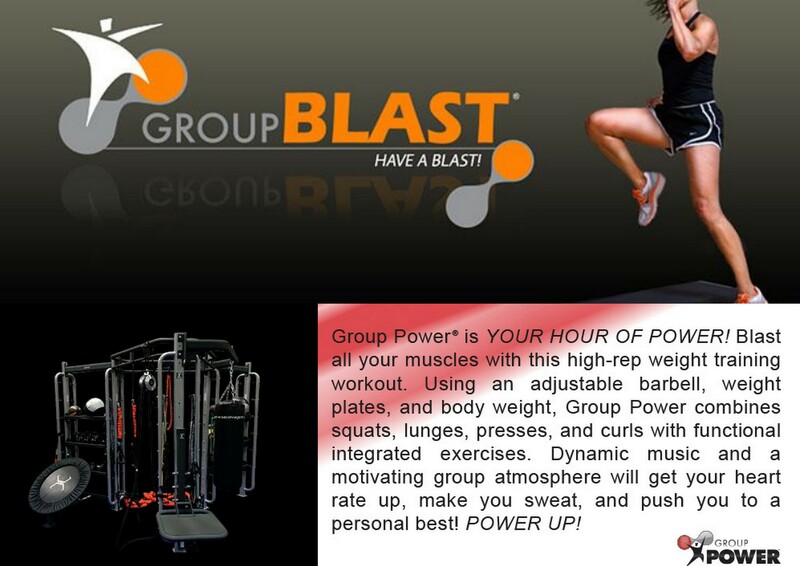 After the Group Power class I experienced the muscle ache that was expected. Unfortunately it seems that my balance might have been a little off when I tried the class. I hold one shoulder higher than the other and think this might have resulted in my overusing one side more than the other. I strained the area around the other side of my right elbow and had to take quite a few days rest. I wondered if I might have been able to do things differently. I am not very strong in the upper arm area. I think it would be helpful if I had spent a few weeks working with a personal trainer building up my arm strength. Alternatively, I could have developed a weight lifting programme with an instructor to complete before starting the Group Power. 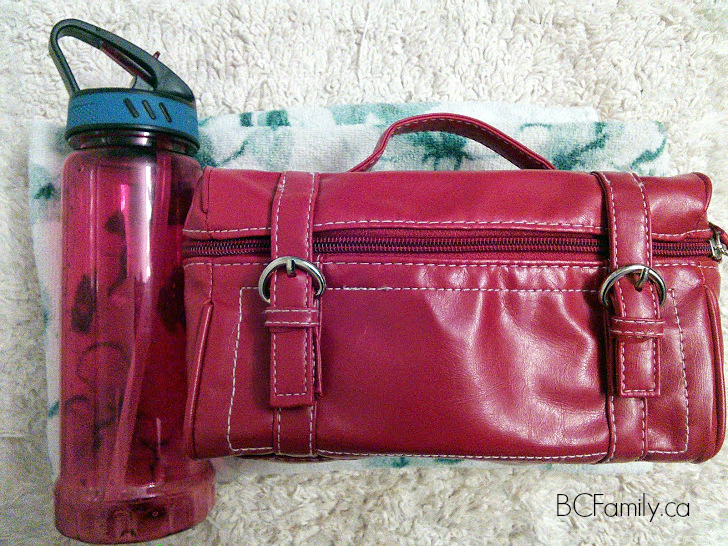 At the gym you can use their lockers (bring your own lock) or you can put your water bottle, bag and towel on the side. I decided to do the latter and found a small bag that could hold my essentials. It’s a good idea to bring a full size towel to dry your sweaty head or in case there is mat work. You can lay the towel on the mat for more comfort. It will also absorb sweat so you aren’t sticking to the mat. I found a large water bottle for $5 across the way at Superstore. It is the same height as the distance from the base of my hand to the tip of my (long) fingers. IE it’s a tall bottle. I mention this because during the one hour group classes you will work up a thirst and drink that much water. 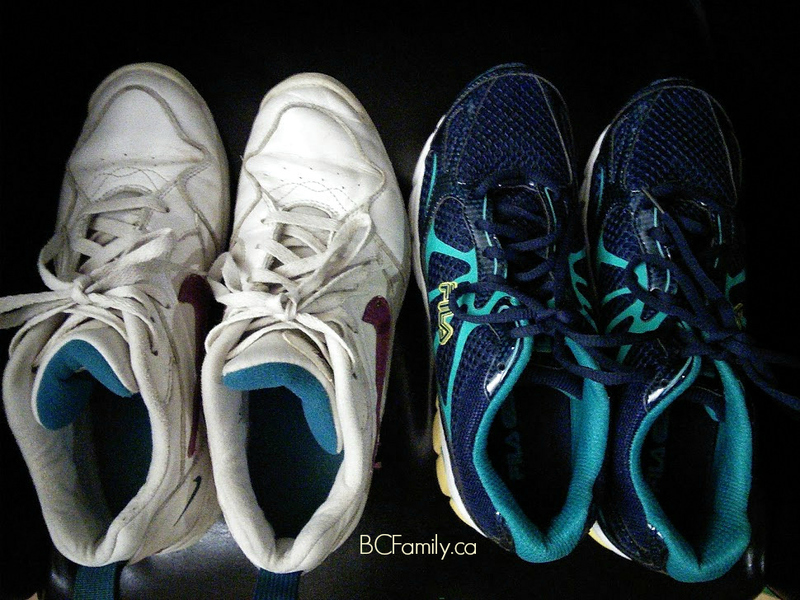 Meet my old shoes (the ones I wore at Fitwells) and my new shoes (recently purchased at the Winners near Fitwells Coquitlam). The shoes on the left were bought when I was 25. They are Air shoes by Nike and they’re very comfortable. They’re also VERY heavy. I realized while doing the classes that the light, expensive looking shoes my fellow class attendees were wearing would be much better for classes where you have to lift your feet a lot. I didn’t relish the idea of spending $85 – $100 for new shoes and was happy to find a pair of shoes made by a reputable company at a discount store nearby. I don’t know if they’re the perfect design for gym activities but they’re certainly an improvement over my old shoes, which will now be used for bike riding outdoors. I really appreciated the experiences and exposure to group classes I had while at Fitwells. Ideally you would join a gym with a friend so that you could have some mutual support. If you don’t have this option, group classes are a good way to develop motivation. In these classes you see women of all ages from 20 something to 80 something. You also see a wide range of physiques and levels of fitness. If you imagine that you will be surrounded by a certain type of gym goer, you will be surprised. I like the fact that the Fitwells gym is for women only. I’ve included a video below that samples the types of movements you are presented in a Group Power classes. The feeling I get from this video (and the music used) is different from the vibe that I got in the women only classes at Fitwells. When you start the group classes each format creates a different noise. In the step class there’s a sudden loud sound of stomping as many feet step on the steppers and then step off. In a Group Power class women are focussed on the lifting of weights as the instructor calls out the instructions. There’s a pleasant feeling of comraderie that you’re all in it together. Even if you are feeling that you are not in the best shape and can’t do the moves very well, if you look around you will see that there are other women who are in a similar position. 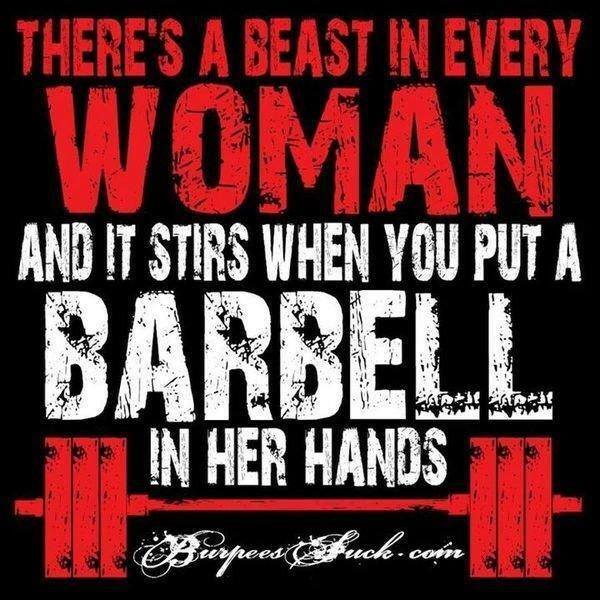 I also appreciate seeing the women who are in tip-top shape and doing the moves precisely and with strength. As I struggled to get through the paces, I realized that they got to the point where they are by putting in the time to practice. From a selfish point of view, I also appreciated being able to watch them to help know what to do. Even though I’m not in the best of shape, and I am quite uncoordinated when it comes to following an instructor’s movements, I was able to follow along. While taking the Group Power class, the instructor’s music CD wasn’t working so she put on a second alternative. The Green Day song in the following video was one of many types of music that the instructor played. More relaxing music came on during the cool down part. I liked the inclusion of edgy, energetic music. The experience of being in a room with a few dozen women lifting weights, while listening to up-to-date songs, was energizing. My five year old twins really enjoyed attending the childcare services at the gym. They call it daycare. Just yesterday they said to me “Mum when can we go to childcare again? Don’t forget- you need to exercise!”. You can pay for the childcare services on a per session basis ($3 for a maximum of two hours) or you can add a childcare plan to your membership. The room includes a climbing structure, games and entertainment, and a viewing area to watch a children’s movie from NetFlix. Up until now my children have associated exercising with my husband. A little over a month ago I told them that I would be going into the exercise room to use it. This confused them. For my benefit – and as a good example for them – I know that I need to flip the script. My experience at Fitwells helped me to see how far I need to go. * I took part in a blogger outreach program with Fitwells for Women. All opinions and views are my own.